In August of 2015, President Obama and the Environmental Protection Agency (EPA) rolled out the Clean Power Plan (CPP), a series of federal rules designed to reduce carbon dioxide (CO2) emissions generated by America’s power plants. 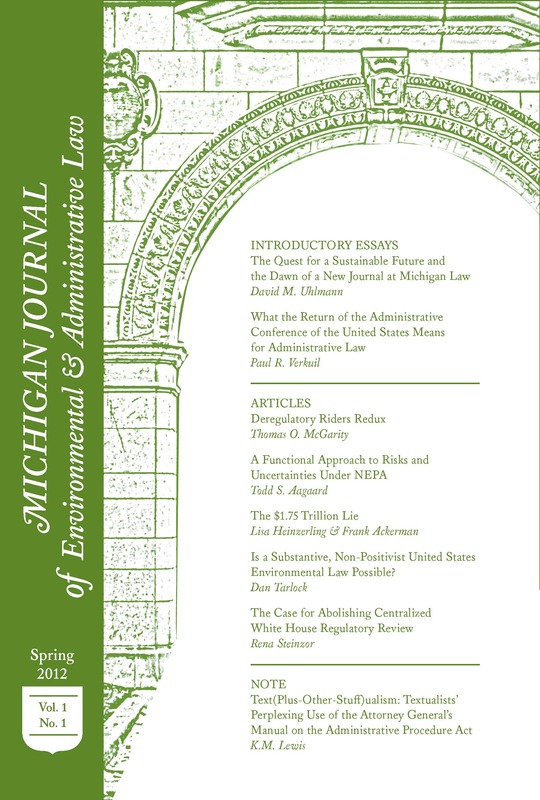 The rules, heralded by many as an essential tool in the fight against anthropogenic climate change, would have required states to meet targets for reducing CO2 emissions, though each state would have had the freedom to develop their own plans on how to reduce emissions, subject to EPA approval. Nationally, the rules would have reduced carbon emissions by approximately 32% from 2005 levels, with similar reductions in other pollutants such as sulfur dioxide (SO2), particulate matter, and nitrous oxides (NOx). The bulk of these reductions was expected to come from coal-fired power plants, which produce 75% of the carbon emitted by the electricity sector and is more than the carbon produced by all of America’s cars and trucks combined. Unfortunately, the CPP suffered a setback when a group of states and businesses, opposed to further regulation of fossil fuels, sued in federal court to block implementation of the rules. The case was filed directly in the D.C. Circuit Court of Appeals, per the Clean Air Act, which allows some challenges to new EPA rules to go directly to appellate courts. Signaling how important the court viewed the case to be (and the certainty that it would be appealed to the Supreme Court, regardless of how the case is decided), it exercised its discretion to proceed directly to an en banc hearing, though it delayed the beginning of oral arguments until September 2016. The Supreme Court, pending a decision on the case, stayed implementation of the CPP. Coal, a Trump administration notwithstanding, is on its way out. For example, in 2010, 45% of the United States’ electricity was produced with coal. The EPA, in its Clean Power Plan, projected that, by 2030, coal would produce 27% of the electricity generated in the United States, though that number had already fallen to 29% as of 2016, with most of it being replaced by natural gas and renewable energies. This accelerating trend is due to a variety of factors that include state and federal regulatory constraints on pollution, major gains in energy efficiency that have dampened demand for electricity, and the historic convergence of the cost of coal-fired electricity with the price of energy generated by wind, solar, and natural gas. But perhaps one of the most important factors has been the Sierra Club and its Beyond Coal campaign, which has been responsible for 40% of all coal plants blocked from approval or retired from service. Instead of trying to increase federal emissions standards to force coal plants into compliance, Beyond Coal targets coal power plants at the state and local approval phase (under the Clean Air Act, most states have elected to assume responsibility for implementing and enforcing the act’s provisions). This strategy implicitly targets the two-thirds of U.S. coal power plants that were built prior to 1970 (and the passage of the Clean Air Act) and are now nearing the end of their lifespan. As those power plants are retired, Beyond Coal works to ensure that they are replaced by more environmentally sustainable alternatives, such as natural gas or renewable energies. We look at a successful case study below. In March and April of 2015, Beyond Coal intervened in a case involving one of Oklahoma’s two electricity utilities, OG&E, which had asked the state’s public utilities regulator, the Oklahoma Corporations Commission, to approve a 15-19% rate hike, which would have been the largest in the state’s history. The hike would have financed the installation of scrubbers at one of the utility’s coal-fired power plants, to bring it into compliance with federal air standards for regional haze and mercury pollutants. Under Oklahoma law, utilities are permitted to ask for pre-approval of a rate hike to help finance capital projects, instead of asking for reimbursement after funds have already been committed and spent. Pre-approval, however, requires more scrutiny than reimbursement, and utilities must present evidence to show that the rate hike is prudent. But the proposed rate hike, which would have been the biggest in Oklahoma’s history, quickly catalyzed widespread opposition, including from groups as diverse as the AARP, Walmart, Inc., and various consumer groups, all of which was outraged that the utility was pursuing a $700 million plan to double down on coal when much cheaper alternatives were available. Beyond Coal began examining some of the assumptions underlying OG&E’s projections. For example, in its cost calculations, the utility had decided to assume that there would be no new coal regulations for the next thirty years, even though the EPA was already on track to approve four new ones during the latter half of 2015. They also compared the projected costs for the upgrades and the resulting continued reliance on coal with the costs for alternatives such as natural gas or wind energy. In doing so, Beyond Coal found that, two years earlier, Oklahoma’s other public utility, Public Service Co. of Oklahoma, had discovered that wind energy was so cheap that they contracted for triple the amount of electricity they had originally requested. The deal was projected to save consumers at least $57 million the first year alone, with “annual savings . . .expected to grow each year over the lives of the contracts.” Similar cost-savings for utilities in Florida and New Mexico, which were buying wind power with costs of 2 cents per kilowatt hour (undercutting even non-compliant coal power), reinforced the pocketbook argument for phasing out coal. Nevertheless, OG&E doubled down, arguing that they could not install new wind power without overloading the existing transmission grid. Beyond Coal was able to demonstrate with internal documents subpoenaed from OG&E that the grid could be upgraded to accommodate wind energy, at just 3% of the cost of the scrubbers. The Oklahoma Corporations Commission, led by Republicans in a deep red state, voted in December of 2015 to reject OG&E’s pre-approval request, finding that the utility had failed to consider alternatives when it embarked on a plan to modernize its power plants. These battles are being won across the United States, mostly at the state and local level where political considerations pale in comparison to local environmental and price concerns. Indeed, the EPA recently updated its forecast for 2030 carbon emissions (excluding the impact of the CPP) and reduced the projected amount of emissions by 11%, more than two-thirds of the CPP target. In total, 31 states are already halfway towards meeting their 2022 CPP benchmarks, with 16 states on track to surpass their 2030 CPP benchmarks, all without implementation of the rules by the EPA. Coal is on its way out, and there’s little President Trump can do to save it. *Hinh Tran is a Junior Editor on MJEAL. He can be reached at hinh@umich.edu. Carbon Pollution Emission Guidelines for Existing Stationary Sources: Electric Utility Generating Units, 40 Fed. Reg. 64,662 (Nov. 11, 2016), https://www.gpo.gov/fdsys/pkg/FR-2015-10-23/pdf/2015-22842.pdf. Michael Biesecker, US Appeals Court Hears Arguments in Clean Power Plan Case, U.S. News (Nov. 11, 2016), http://www.usnews.com/news/politics/articles/2016-09-27/dc-appeals-court-set-to-hear-clean-power-plan-case. Donald J. Trump (@RealDonaldTrump), Twitter (Nov. 11, 2016, [TIME]), https://twitter.com/realdonaldtrump/status/265895292191248385? See Grunwald, supra note 13. See Walton, supra note 23.